Optimised, qualified, certified and reliable. Quality is the feature found in every single UTSCH product. 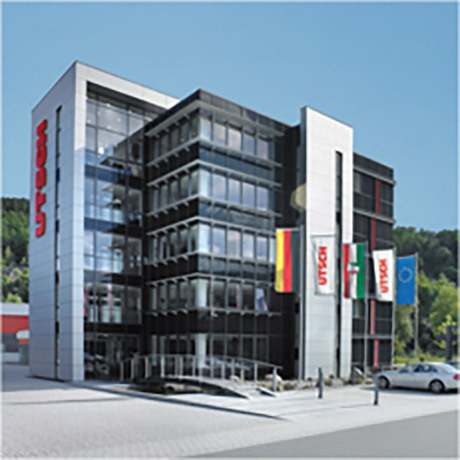 In order to be a reliable partner to its customers, UTSCH takes compliance with mandatory quality standards very seriously. 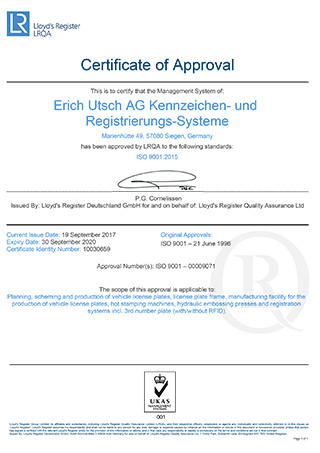 Through its superior efforts, the company has been awarded certification for a range of international standards which represent its continuous commitment to improvement and the trust that UTSCH enjoys at home and throughout the world. Nowadays customers don't just expect high standards in terms of product quality, but also in terms of flexibility, innovation and speed. Meeting these expectations demands an effective quality management system, certified in line with internationally recognised standards. UTSCH has been certified to DIN ISO 9001 (currently DIN ISO 9001:2015) since 1996, and for good reason. By continuously improving all areas of the business and consistently exploiting potential for optimisation and savings, the company has continually enhanced its market position and increased customer and employee satisfaction. Ecologically sustainable business activity, the responsible use of natural resources and the protection of people and the environment have played an important role at UTSCH for decades. Environmentally aware management is put into practice in all day-to-day processes. 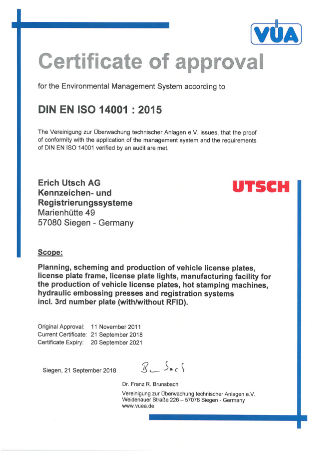 This commitment is confirmed by DIN EN ISO 14001:2015 certification, which documents efficient waste and energy management at Erich UTSCH AG and compliance with strict European environmental regulations. To allow international orders to be processed quickly and easily and reduce the time and expense involved in customs procedures, UTSCH has been certified as an Authorized Economic Operator (AEO) since 2012. As an AEO, the company benefits from a considerable simplification of customs formalities within the EU, EFTA countries, the USA, China and Japan, such as a simplified entry and declaration procedure, fast-tracked clearance, entry submissions with reduced data sets and less frequent examinations of goods. 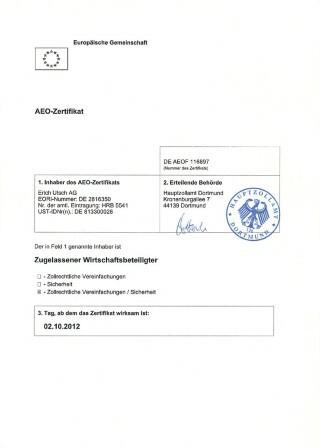 UTSCH also holds the certification level AEO F, which represents the highest security standards and considerably simplifies deliveries of all kinds to the USA – whether license plates, license plate frames, embossing presses, hot stamping machines or spare parts.